Rocket League isn’t the only game Hot Wheels is partnering with this month. To celebrate the release of Halo Wars 2, Hot Wheels has revealed a new set of vehicles based on the iconic video game series. Halo Wars 2 is a game we enjoyed very much which makes this collectible announcement very exciting and with the New York Toy Fair now wrapping up, the timing is perfect. Now, fans of both miniature toy cars and strategic space combat can look forward to five vehicles modeled after their in-game counterparts. Obtain the Warthog, Ghost, Scorpion, Wraith and Mongoose. Some are recolored versions as well which makes them even more desirable. They make for great additions to various collections due to a great amount of detail. However, they look like a lot more fun as something to play with! Currently, they are only available at Toys”R”Us stores this week. Distribution will reach other retail locations worldwide soon. 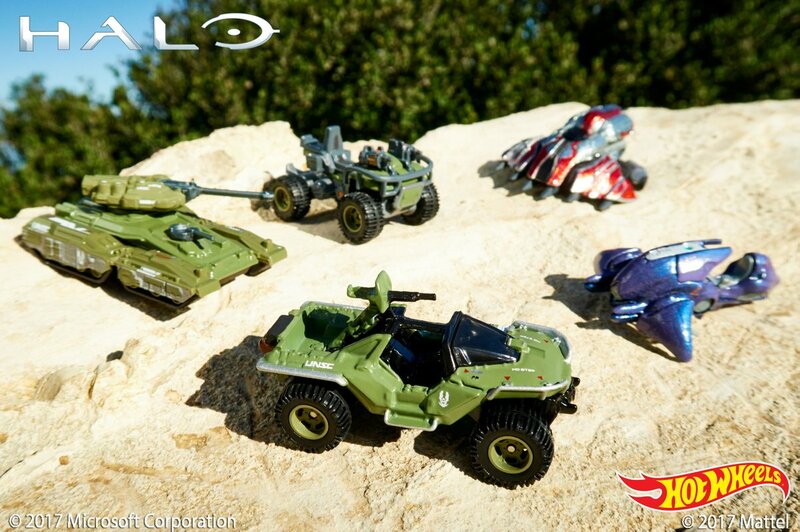 Check out of the Halo vehicles in the image below.